Everyone needs downtime. Children and teens today have such busy, stressful lives that summer becomes not just a welcome break in their routine, but a vital one for recharging. The warmer days and increased daylight are more conducive to relaxing. Consider letting your children sleep according to their body’s rhythms and wake up naturally, not when an alarm clock tells them to. Or if you’re signing them up for a structured activity, try to select one that starts a little later and ends a little earlier than their school day. Children of all ages generally need 10 to 12 hours of sleep, but few get that much rest when school is in session. Summer also offers children opportunities to try activities they’ve expressed interest in during the school year. Without the usual overloaded schedule of homework and extracurricular demands, this is an ideal time to explore those interests. The average preschooler spends three to 10 hours a day in highly supervised group care. School-age children can spend up to 10 hours a day in structured environments. Little time is allowed for free, unstructured play and movement. If your child is going to camp this summer, choose one that offers plenty of unstructured time. Play-based camps for younger children and nature camps with plenty of outdoor free time for older children offer much-needed time to explore. Day camps at local Jewish community centers and sleep-away camps, such as Camp Tawonga or Camp Newman, are options that offer Jewish programming in a fun environment. the bus — even walking to the bus stop is a nice change in pace. Visit a new park every week in San Francisco and show your children how each neighborhood has its own distinct personality. 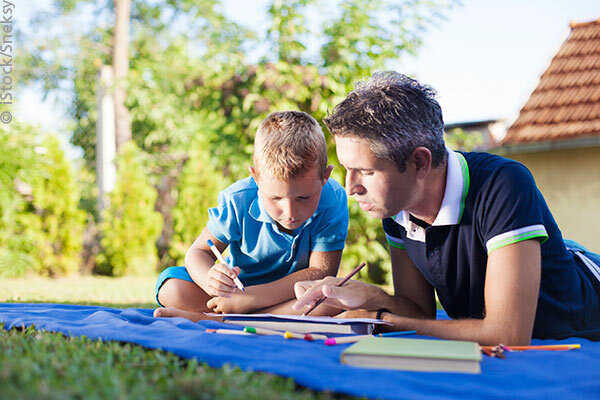 Give your children unscheduled time to daydream, draw, watercolor or take an art class. Art not only uses different areas of the brain — working in clay, paint and other media challenges children to think in new ways — but it also proves to be therapeutic and soothing. Explore farmers markets, teaching your children about where different foods come from in our vast agricultural state and letting them taste the summer bounty. Plant a garden in containers or in a community garden, so they learn to care for something. It is rewarding for children to see something grow that they nurtured with their own hands. Watering and weeding and other contemplative activities allow them to appreciate nature while focusing unhurriedly on a task. Change the backdrop where you eat dinner. 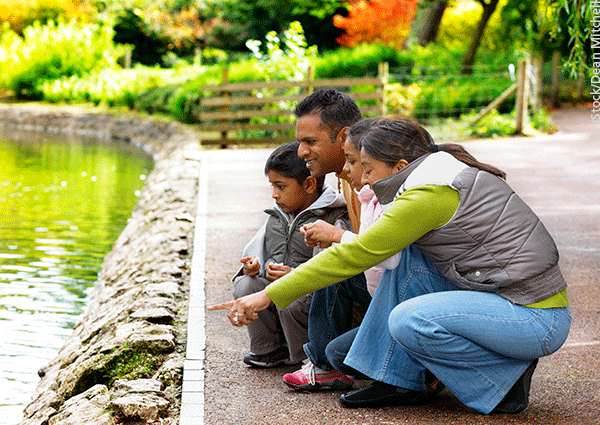 Go to a park or a beach and let children enjoy open spaces with a friend or family member before and after the meal. This could be a weekly event to organize as a family, allowing each person a turn to plan the menu, shop for the food and contribute to its preparation. Pick a long chapter book to read from every night as a family, encouraging younger children to express themselves through storytelling. Consider acting out plays or puppet shows, which enable children to use their imaginations and be active participants. If you’re planning a vacation, keep the travel schedule light. Staying at one or two places can be more rewarding and rejuvenating than a sightseeing trip stuffed with daily activities and stops. Younger children may not have the stamina to sightsee for very long, and older children may appreciate having time to lounge at a pool or beach. More than anything, enjoy the season together and, whenever possible, find ways to break with routine. And don’t forget to capture the night sky while dripping in watermelon juice …. the magic of the season is upon us. Mechele Pruitt, is the Director of Parents Place in San Francisco, a division of Jewish Family and Children’s Services. A version of this post originally appeared at www.jweekly.com.